Queen Pillow Top Mattress by Southerland Bedding Co.
Great for side sleepers or anyone who appreciates a little extra cushioning, this pillow top mattress features soft tailoring at the top to cradle the curves and angles of your body when you lie down to sleep. 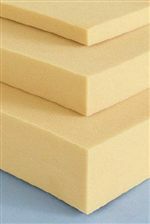 Layers of luxury foam and open-cell Comfort Loft foam provide a responsive and breathable sleep surface. 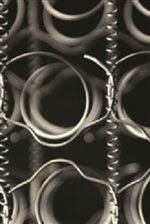 At the core of this mattress, an alternating-coil innerspring supplies sturdy body support with better surface coverage, higher coil density, and improved edge integrity. A trustworthy mattress for the price-conscious consumer, this pillow top mattress makes a great addition to your home. Box spring not included. 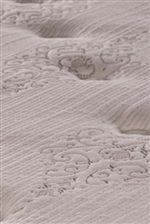 The Esteem Queen Pillow Top Mattress by Southerland Bedding Co. at Wilcox Furniture in the Corpus Christi, Kingsville, Calallen, Texas area. Product availability may vary. Contact us for the most current availability on this product. 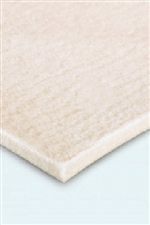 Fire Barrier Information Fire Resistant Barrier is incorporated in mattress quilting for a fire barrier. Note: Mattresses manufactured for sale in Canada are not required by law to have a fire barrier. John V. Schultz mattresses are a smart and reliable alternative to the bigger brands, offering supreme comfort and trustworthy design at a manageable price. Each of these mattresses is handcrafted in the USA from high-quality bedding materials. Sturdy innersprings, soft foams, and luxurious fabrics come together to bring you the perfect balance of comfort and support. Available in a wide range of styles and comfort levels, John V. Schultz mattresses are tailored to complement your lifestyle. The Esteem collection is a great option if you are looking for Mattresses in the Corpus Christi, Kingsville, Calallen, Texas area.